On Thursday 20 February we attended information fair for young people at Westgate College, West Road, Newcastle upon Tyne, NE4 9LU. 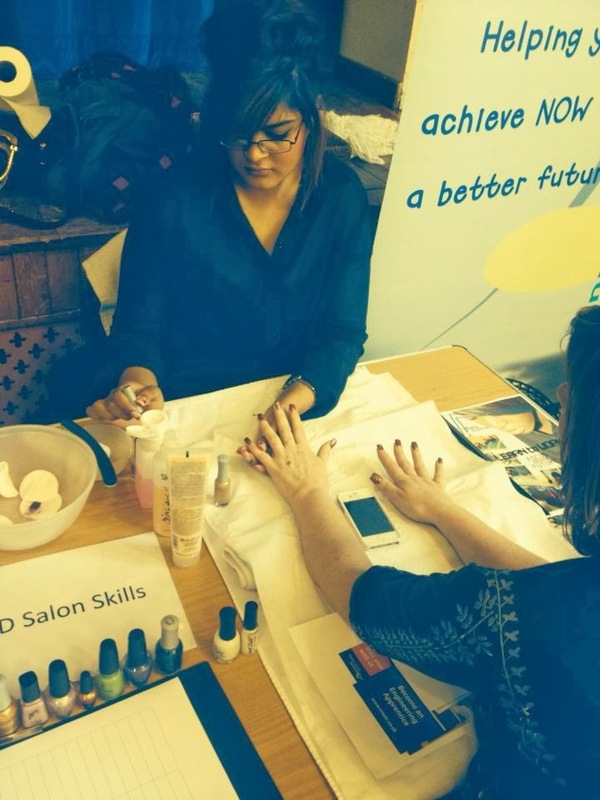 It was a fab day and really busy with bookings as our students offered nail treatments and massages, our students worked very professionally! Well done everyone involved. 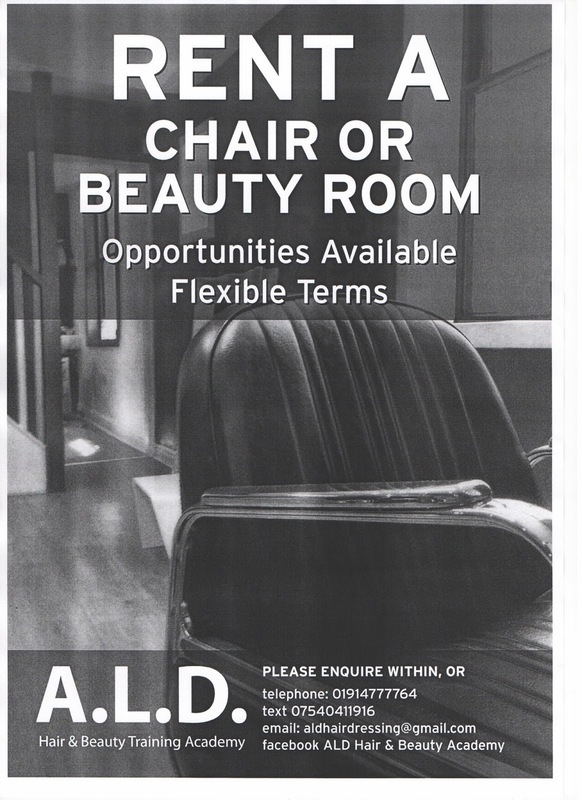 Rent a beauty room or chair is available at our salon based at Gateshead High Street. We're close to the high street and CAB etc and have good passing trade. We have close links to our product suppliers and one main supplier is Dermalogica http://www.dermalogica.co.uk/uk/. We regularly purchase skin care products from Dermaolgica. As we place stock orders on a regular basis this entitles us to product training which is not only beneficial for our tutors but also for our students as they can join in the sessions for free! 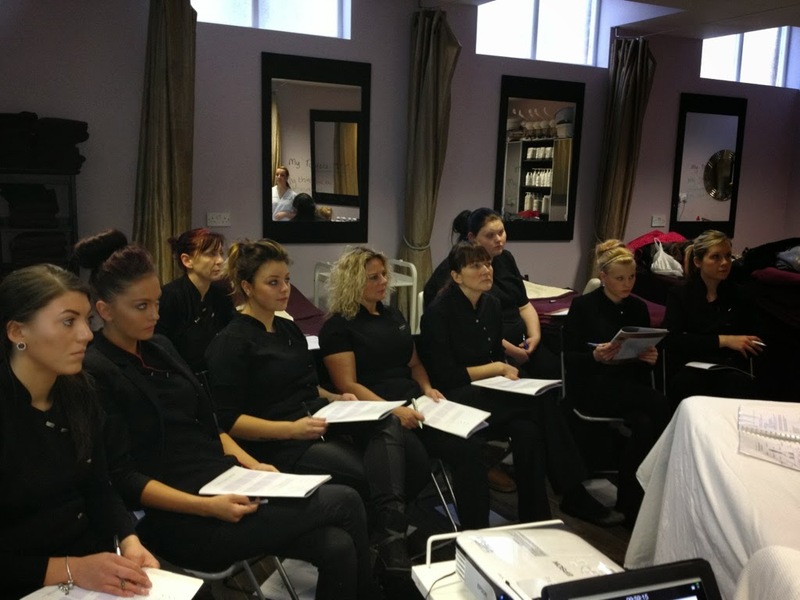 The training is carried out by Dermalogica tutors who will provide background details of their company, skin care, products as well as giving full demonstrations of how to use their products. It's such a great experience and we have fantastic feedback from all who attend these sessions. * to secure your place a £100 deposit is to be paid 7 days prior to course commencing. Full balance due on day of training. Course dates are flexible and can change depending on numbers. Here's a few more photos from our staff training day on Vintage Hair up with Patrick Cameron. In 2013 our staff had the fantastic opportunity to attend Patrick Cameron Vintage Hair up Training! Patrick Cameron's skills are admired by people worldwide so to have this opportunity was amazing. It was such a fab day, really interesting and with all of our hairdressing experience we're still learning new techniques to pass onto our students. Our staff eagerly watched as Patrick created some amazing styles! 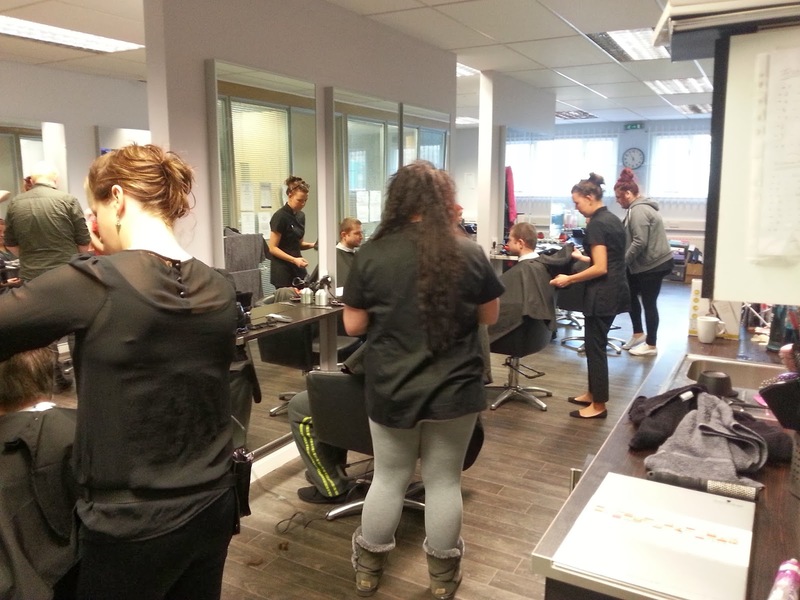 Our barbering students are working really well towards their course units and have been producing some really promising work. They have been working on models/clients which is helping build their confidence and their skills. They are closely watched by our tutor Paul who guides them through. 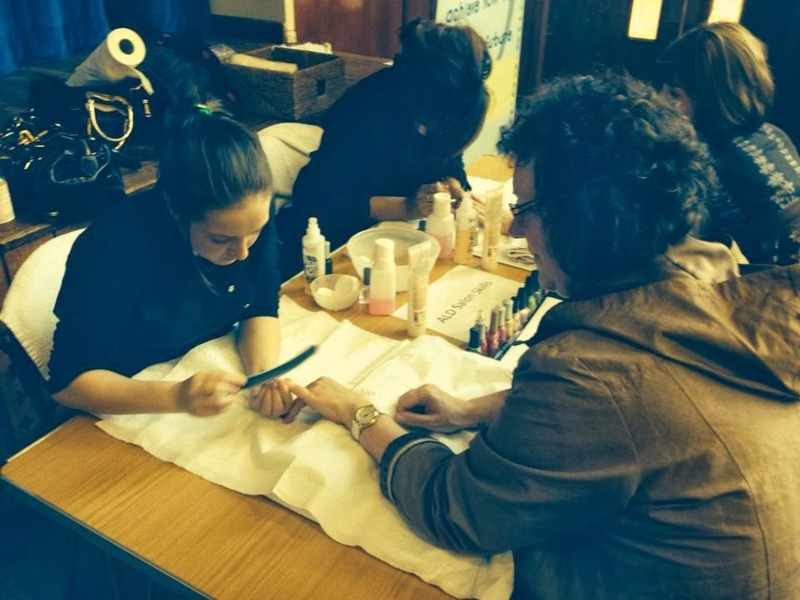 Spaces available for level 3 Beauty Therapy commencing 10th Feb 2014! 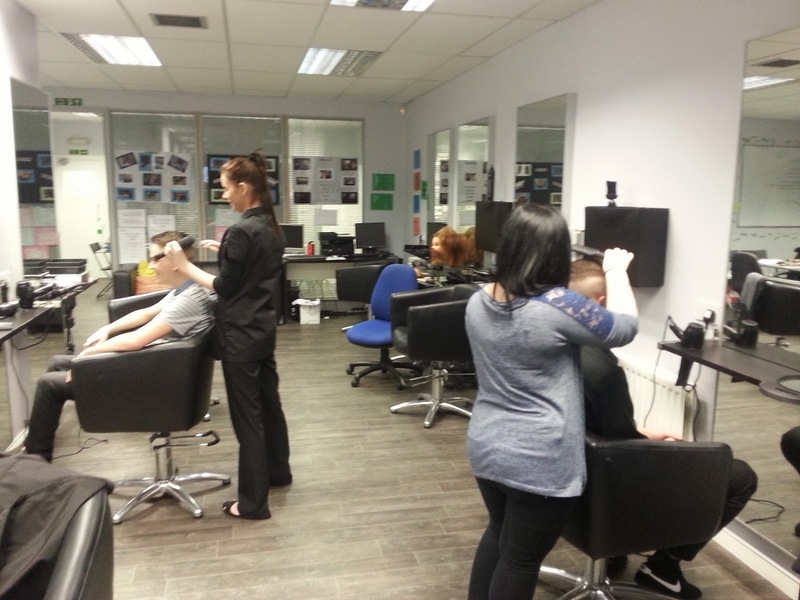 Spaces available for level 3 Beauty Therapy commencing 10th February 2014 at our academy based Unit 3, Swan Street, Gateshead. NE8 1BQ, Just next to Gateshead High Street Job Centre & CAB. Funding may apply for for below 24 year old's depending on circumstances and 24+ loans are also available. 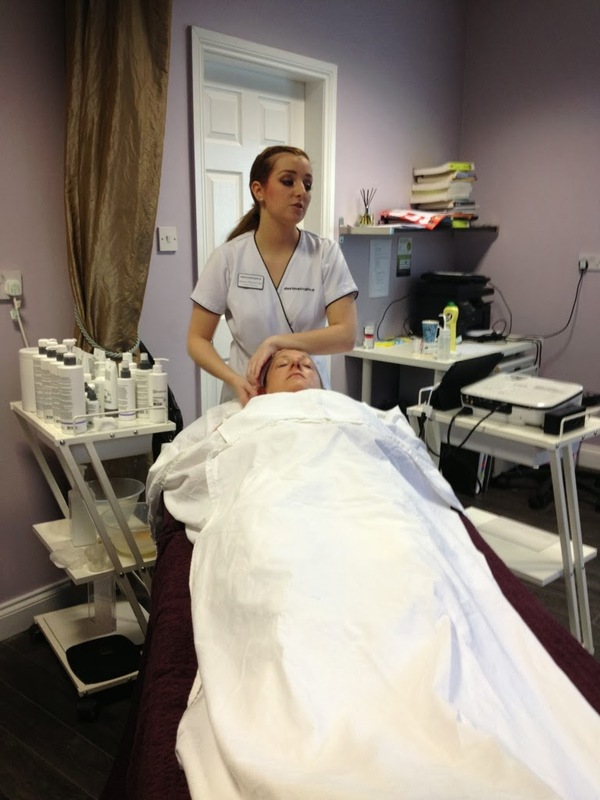 Level 3 Beauty Therapy will cover face and body electrical as well as body massage and stone therapy. To be a part of our new group please contact us for details or feel free to call into our academy as we would love to meet you.